I love markets. 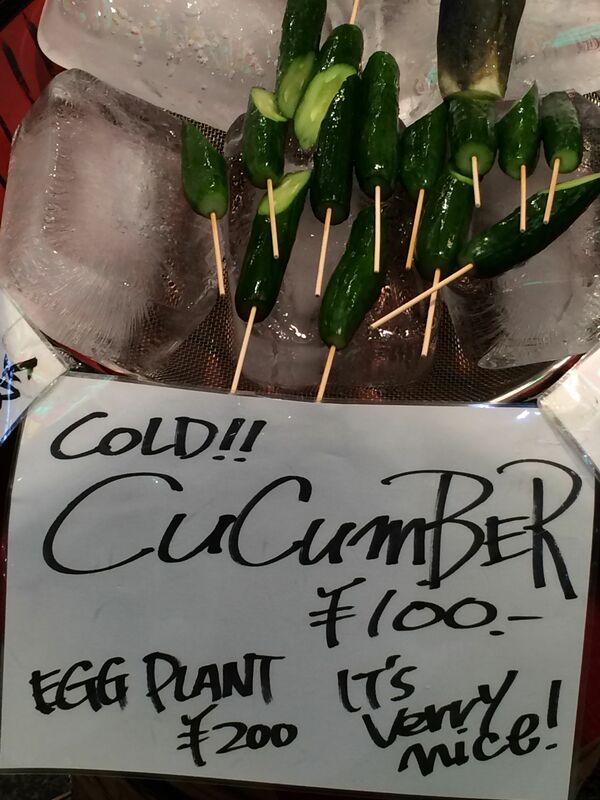 Markets give you the best taste of local culture. It has been my habit to visit markets when I travel since my very first writing assignments for Lakbay TV some 17 years ago. 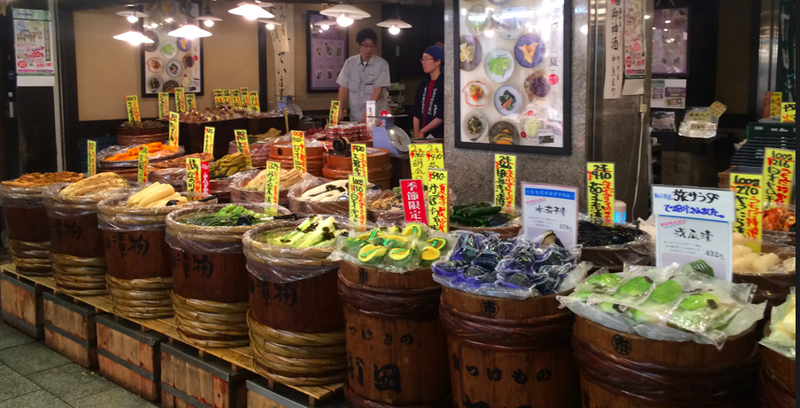 So visiting Kyoto’s Nishiki Market was such a treat on my birthday. 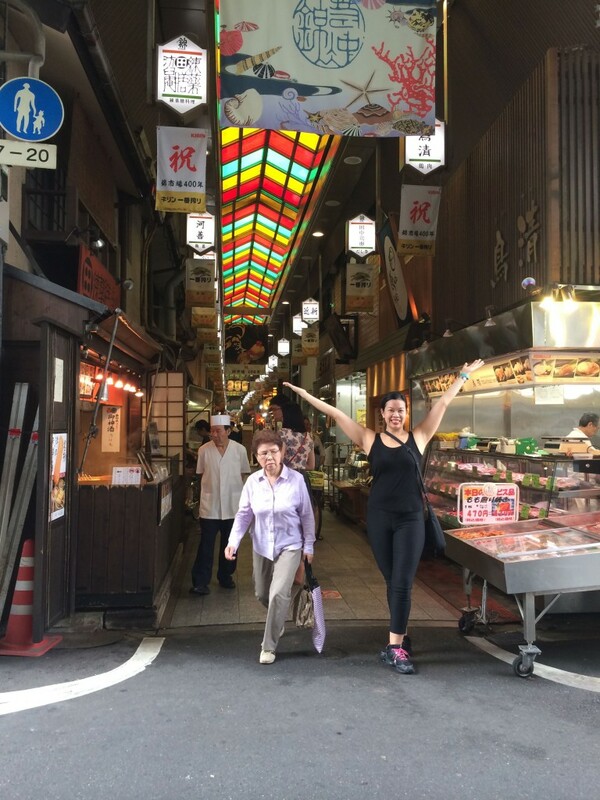 Happy birthday to me at Nishiki Market! I was like a kid in the candy store. It was pure stimulus overload. But part of me also sighed. Even if I did not speak Japanese, I was right at home. It reminded me of Adelaide Central Market in South Australia, where I worked to support myself in grad school. It was about ten in the morning, and we did not have breakfast. We just wanted to eat everything. 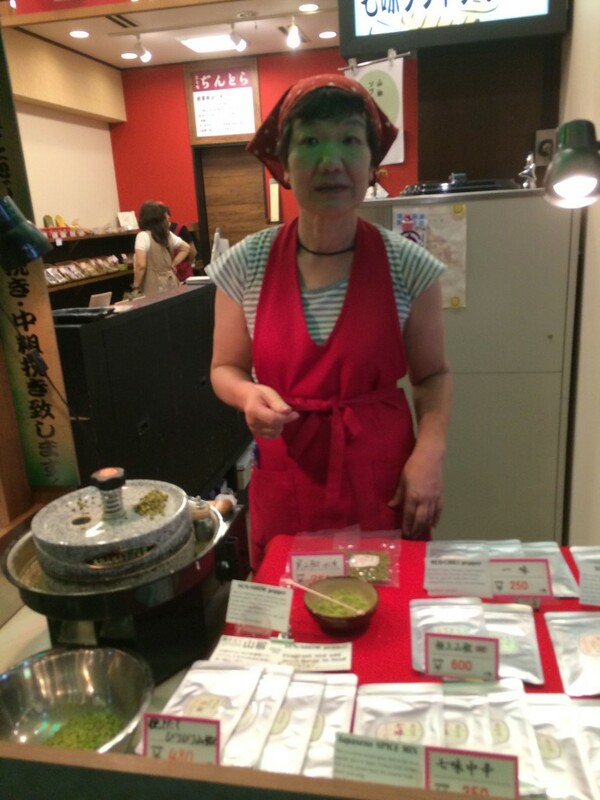 We returned on our last day again to once more savor what the market had to offer. 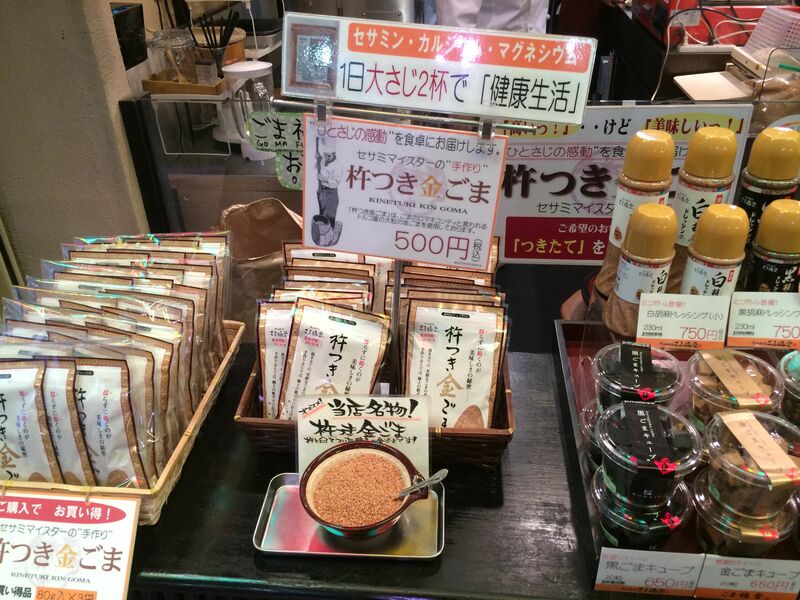 I’d like to share my finds in Nishiki Market. I promise to return…. 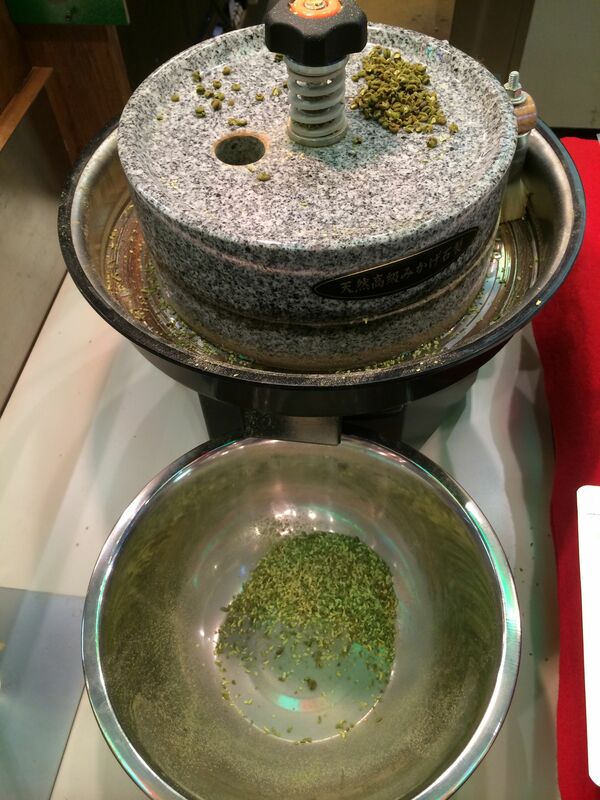 They grind their spices in-store. The Spice Girls don’t speak English, but they are so kind. I bought Shichimi, a Japanese Seven Spice Mix made of red chili, hemp, sesame, Perilla, seaweed, orange peel, and Sichuan pepper. It’s for soup, but I season my salmon, chicken and beef with this. 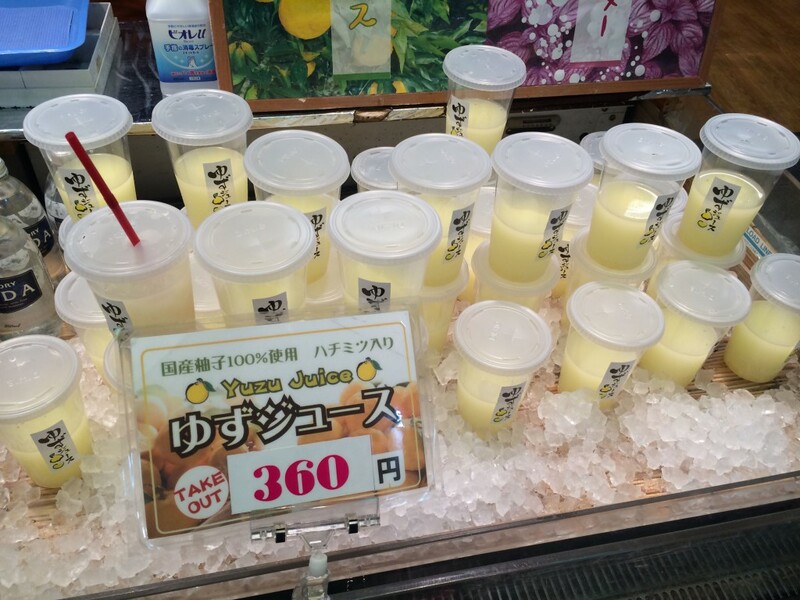 I also bought Yuzu Powder. It can be mixed with hot water and honey for a warm soothing citrus drink. Because it was summer, and we were hot. 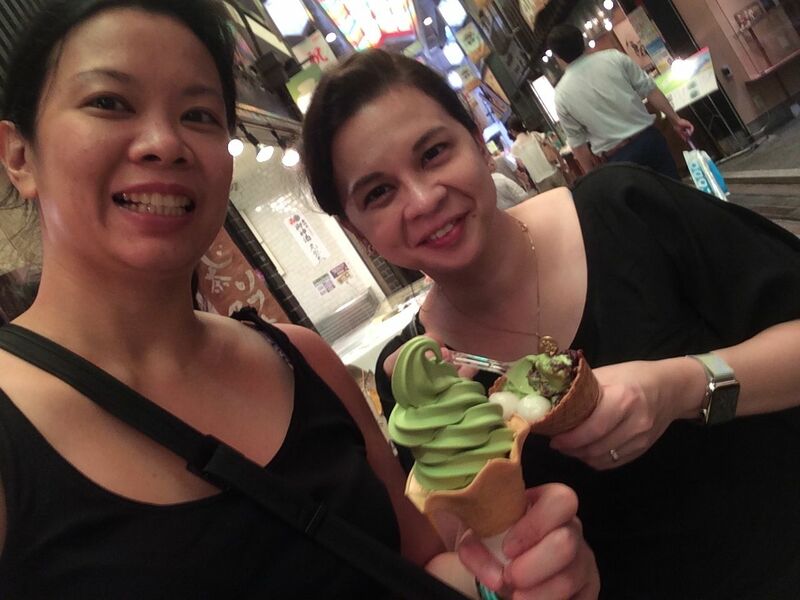 We always took every opportunity to eat green tea ice cream. 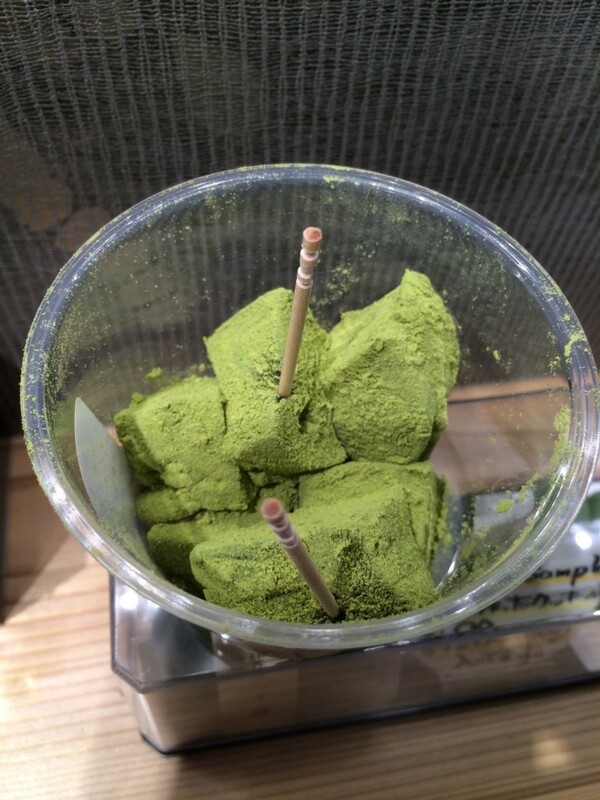 Go to the one making the matcha rice cakes, they have the best ice cream! This was from another shop. Pretty candies that look like erasers. Great gifts! 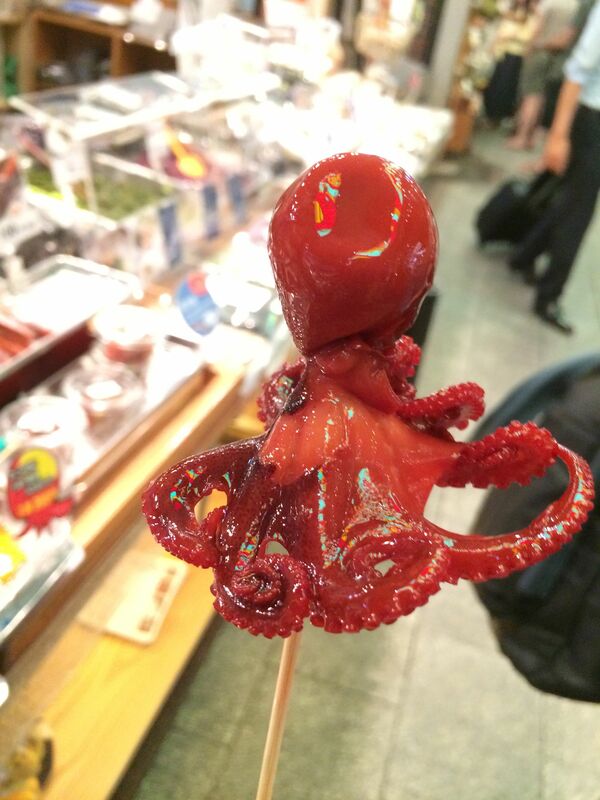 Lots of skewered food to eat, but this Tako Tamago was my favorite. Baby octopus, with a surprise quail egg in its head. Yum! 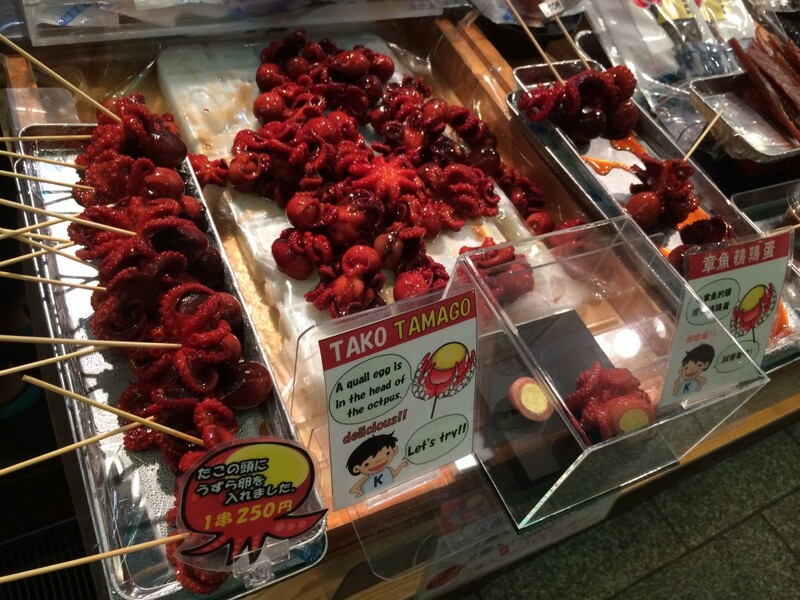 Little Japanese kids were snacking on this. Perfect for the hot, humid summer days and much better than junk food! Love! Yuzu juice, super refreshing…perfect way to awaken your senses on a hot Kyoto summer day ! 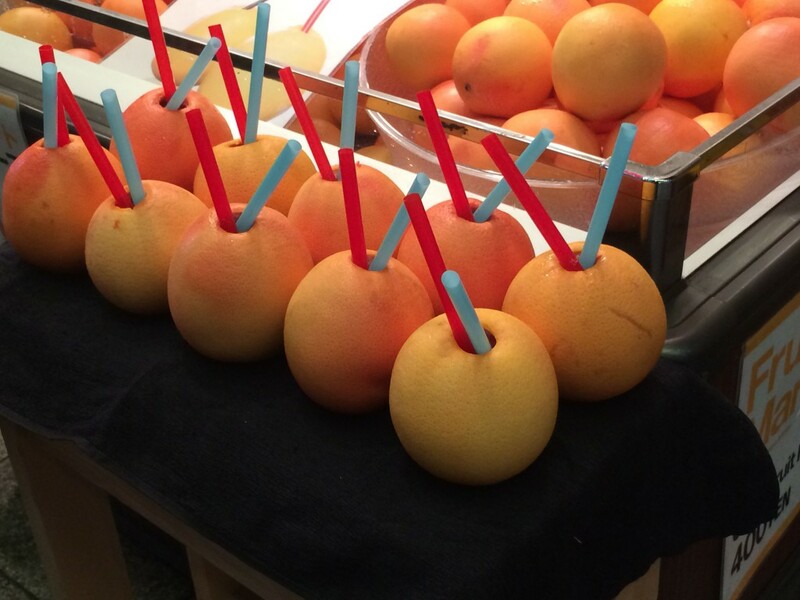 Grapefruit juice doesn’t get fresher than this. Squeezed right in front of you in its own skin. No packaging wasted. Everything pickled from cucumbers to any vegetable imaginable! Not exactly a product of Kyoto. 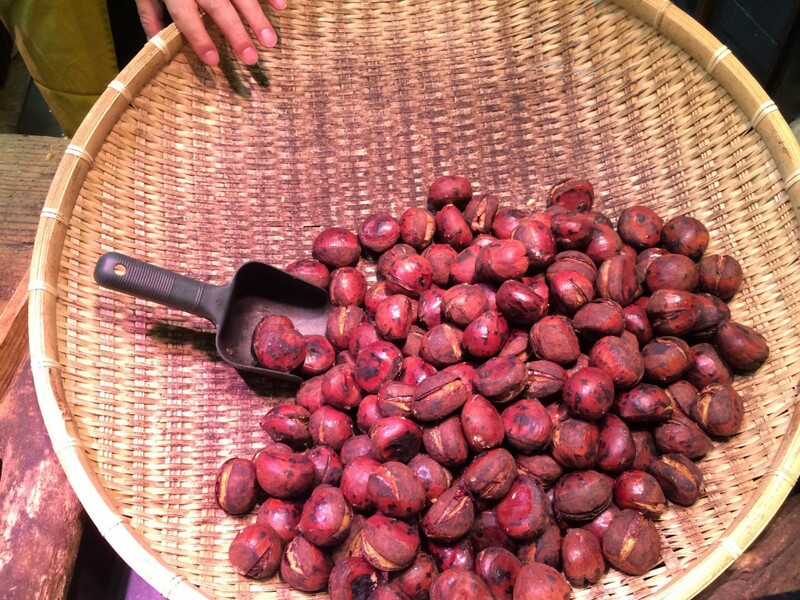 But I bought these chesnuts for my mom. They were so big, and she said they’re sweet. After I bought them, the vendor told me, they are from Korea. oops! 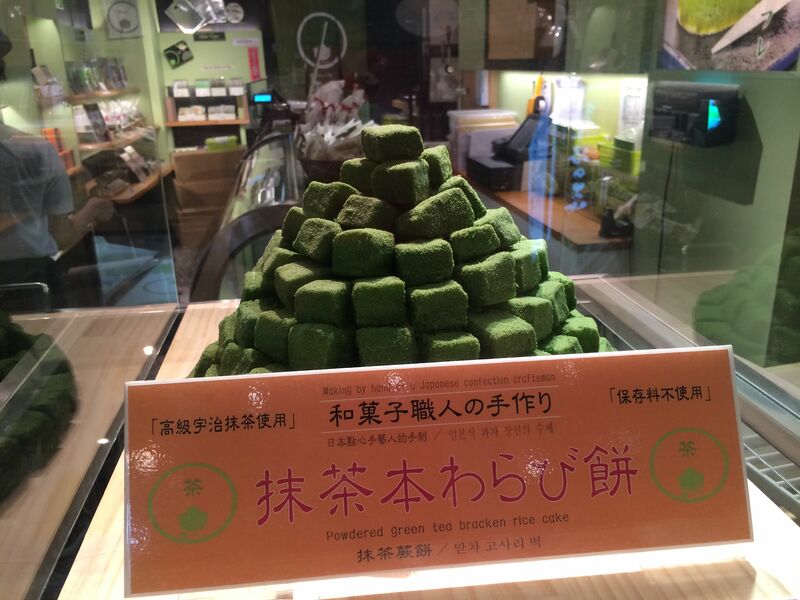 A store devoted to all things Sesame! 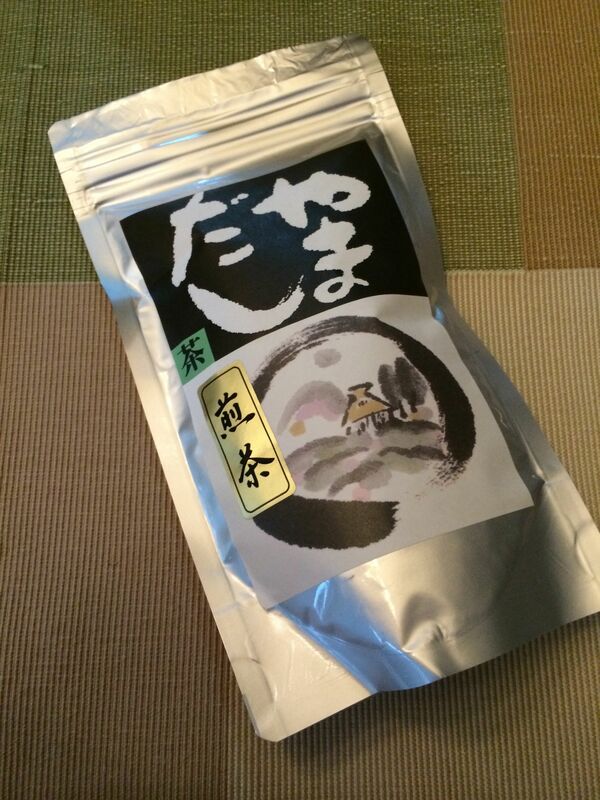 Freshly ground green tea, makes for the perfect souvenir from Kyoto! 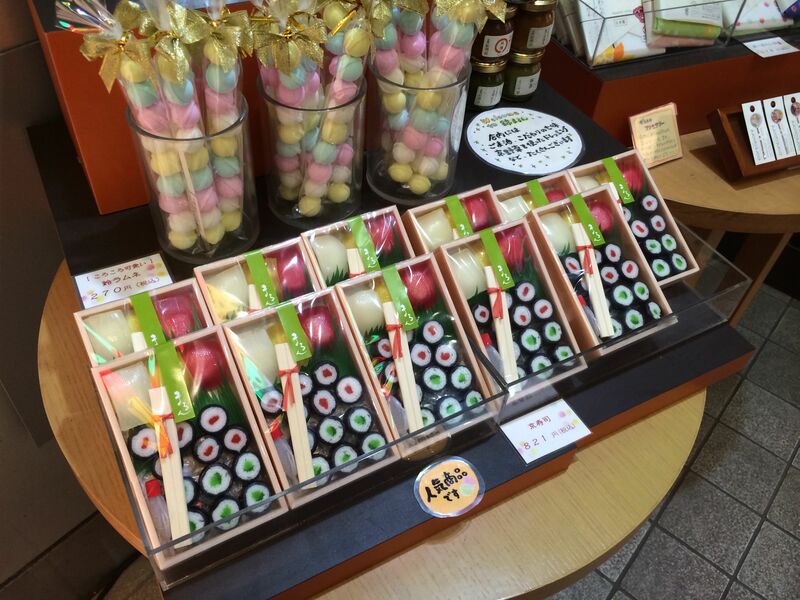 There are also non-food finds like exquisite knives and adorable souvenirs. 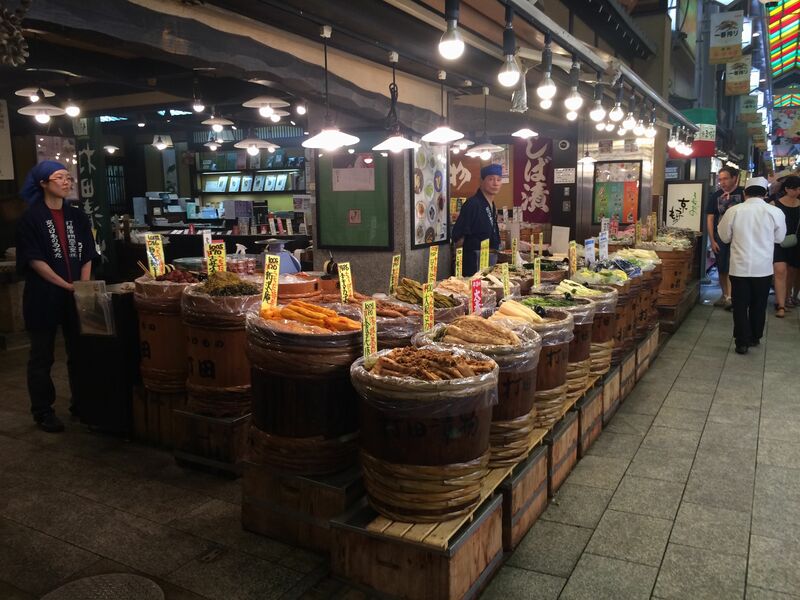 Nishiki Market extends to five blocks, with over a hundred shops and restaurants, our two visits was not enough. We shall return next time, planning to do a picnic, packing sushi and other treats to one of Kyoto’s iconic sites. Nishiki after all is known as Kyoto’s kitchen. In my books, kitchens is a place to keep coming back to.